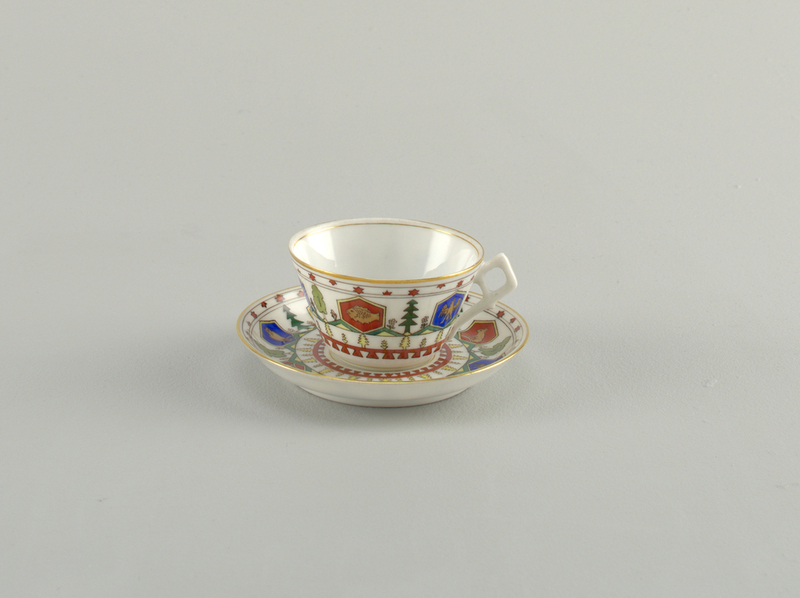 This is a Demitasse cup and saucer. It was retailed by Tiffany and Co.. It is dated 1900–10 and we acquired it in 1956. Its medium is gilt and glazed porcelain. It is a part of the Product Design and Decorative Arts department. On underside: (a) cup: "Made in Russia by Kornilow Bros."; (b) saucer: Imperial eagle on green shield, legen in cyrilica "St. Petersburg, Bratiev Kornilovich".